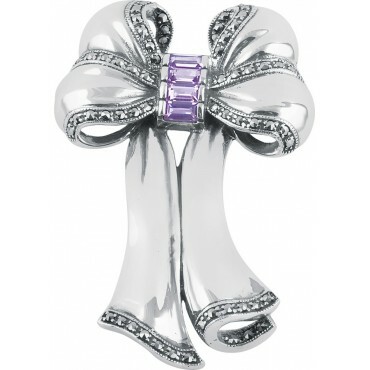 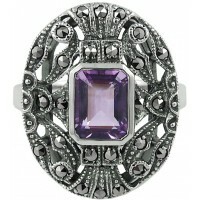 A beautiful sterling silver and amethyst bow brooch inspired by Victorian style. 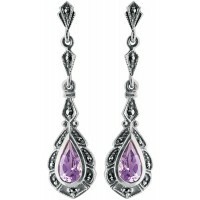 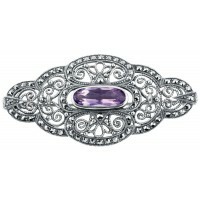 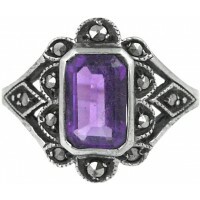 Encrusted with marcasite stones and amethyst, this brooch has been made using hallmarked sterling silver and the finest traditions of British craftsmanship. Glamorous and elegant, this brooch is perfect as a gift or as a treat for yourself or it could be passed down through the generations as a precious keepsake.